1. Only ordering one dish at dinner. 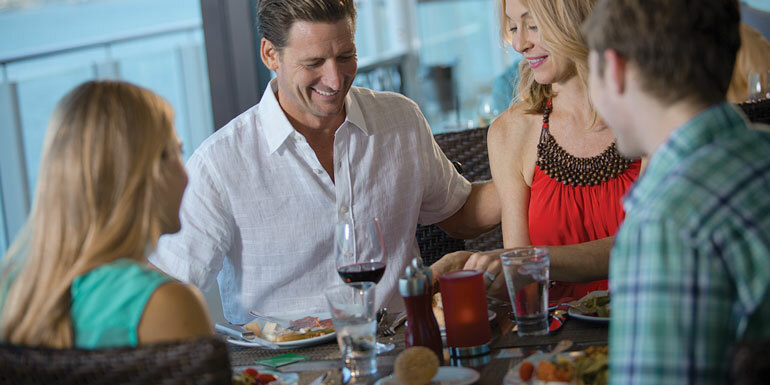 “Well yes, the food is free, but surely ordering more than one item of the menu would be excessive and gluttonous”... Said no experienced cruiser ever. The only time you’ll get confused looks from your table mates is when you don’t order multiple entrees. 2. Trying to pay with cash. 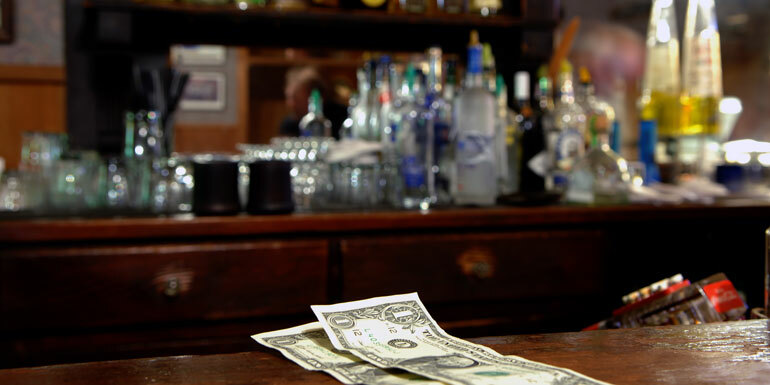 Pulling out a wad of bills at the bar is an instinctive reaction, but while cash is universally accepted on land, cruise ships operate on a card system. 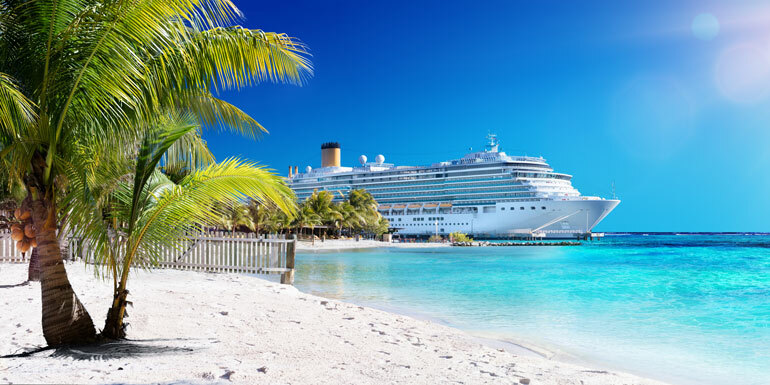 It’s nice not having to carry cash, but it does make it difficult to keep track of your spending, and you could be in for a rude awakening when you get your bill on the last day of your cruise. 3. Looking confused (or way too serious) at the muster drill. 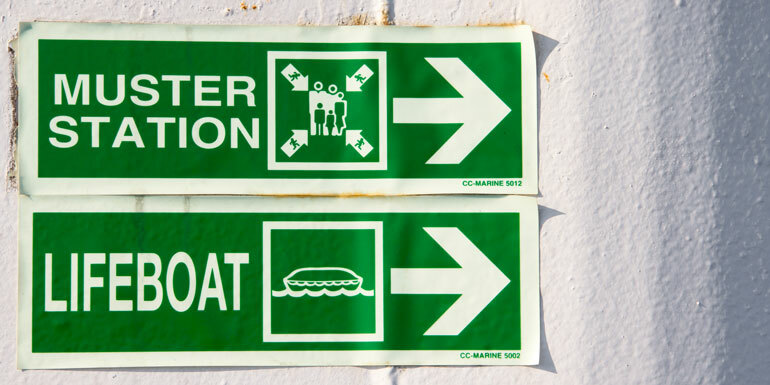 Once you’ve sat through a muster drill or two, you know it’s not that big of a deal. But to nervous first-time cruisers, especially those who’ve never been at sea before, it can feel like a matter of life-and-death. 4. Not knowing about gratuities. If you see someone leaving a cash tip after dinner, odds are you’ll also see them in line at the Purser’s Desk on the final morning of the cruise asking why they were charged $12/day. Gratuities for the ship’s staff are charged automatically to your room, so there's no need to leave a tip unless the service was truly exceptional. 5. Being shocked at the size of the shower. A classic cruise ship comedian joke is “the shower is so small, I soaped up the walls and rotated”. Laughing too hard at this joke can be just as much of an indication you're new to cruising, but that doesn't make it inaccurate. 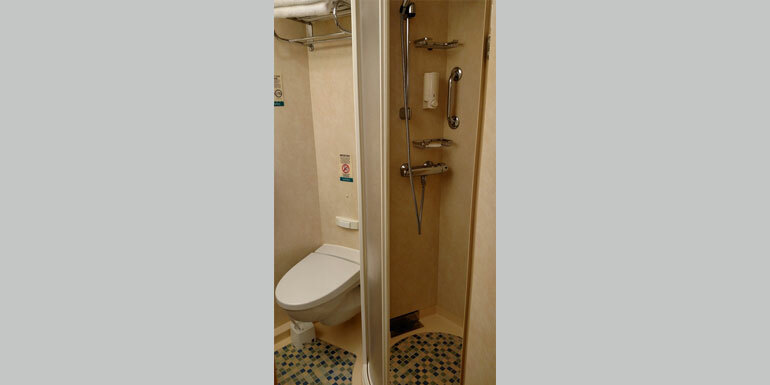 Unless you’re from a city like New York or San Francisco where the bathrooms are so tiny you’re used to using the toilet with one foot in the bathtub, the first time you see a cruise ship shower can come as something of a surprise. 6. Forgetting (or not knowing) to put phones on airplane mode. You may not be able to tell this one on sight, but you may hear their screams across state lines once they get their next phone bill. Make sure your phone is on airplane mode (or off), or you’ll get slapped with astronomical roaming charges. 7. Being unsure how port stops work. Strange as it may sound, it’s not uncommon to overhear people asking if they can still get off the ship even if they didn’t buy an excursion. Another point of confusion comes from tender boats, the shuttles that ferry passengers to and from shore on port stops where there isn’t a dock. Look no further than the comments on this picture of a tender boat to see how some people think that they’ll have to go ashore in a paddleboat. 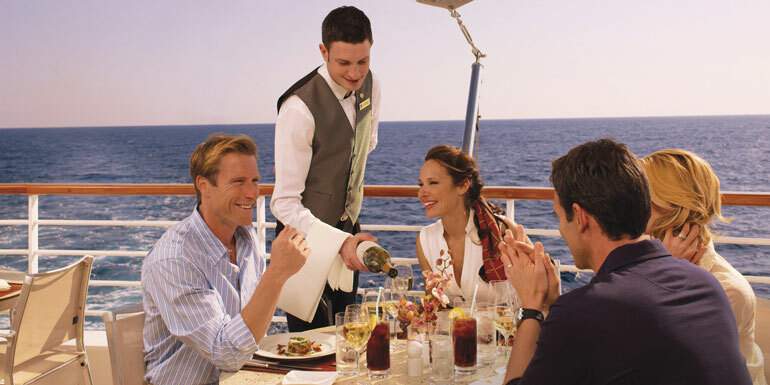 What obvious mistake did you make on your first cruise? Ship's time v. REAL time! LOL, we almost got left in Cozumel when we and asked the car rental guy what time it was and when we needed to be back. Made it back, just as the ship's lines were being pulled in. Decided we better check it out! Gatekeeper/Policia saw us, asked if we were on the CARNIVAL Conquest, and then told us to RUN!!! And run we did, the entire dock, to cheers from everyone up on deck and to a very peeved Purser standing on the gangway, WITH our passports in his hand (yes, they'd gone to our room, opened the safe, and removed them to leave with the Policia just in case we didn't arrive back in time...that was surprising!). We profusely apologized and thanked them for not leaving us. We were over 30 minutes past departure time. Lesson learned! NEVER change your watch or phone time! Ships time!! I disagree about food. I was appalled to see one woman order 3-4 entrees and take a bite or two from each and move on. When I wanted a taste of something in addition to my entree, I asked the waiter for an appetizer serving and was accommodated every time. My regular breakfast waiter only needed one request for no bread items to start bringing me my paleo-centric breakfast automatically and you can BET I left him a nice cash tip on the next to the last morning. The bartender at the martini bar got cash tips too and so did the spa masseuse. That's kindness, not naivete.